The picture that led off a couple-years independent venture that was Enterprise Studios, ill-fated from the start, thanks to but a single hit (Body and Soul) among many that failed. 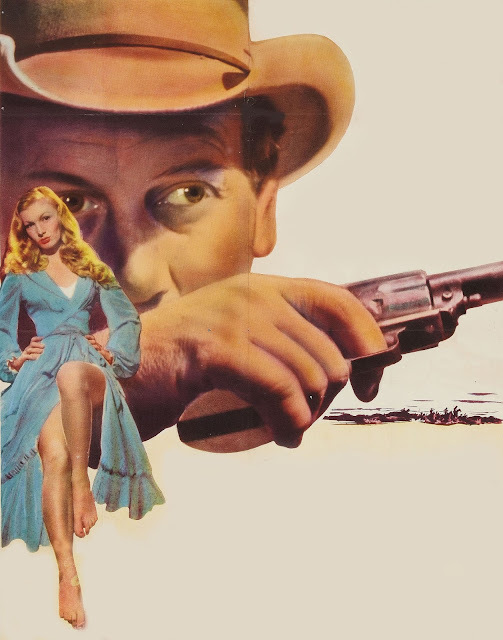 Ramrod was produced by Harry "Pop" Sherman of Hopalong Cassidy achievement, whose stages were utilized for much of what Enterprise shot during 1947-48, so at least he got rental income from these, if not success out of westerns made for the nascent company. Offbeat in ways that appeal to us now, Ramrod was not as welcome then, its cost exceeding a million, that not fully recovered thanks to domestic rentals that failed to exceed a same million mark. 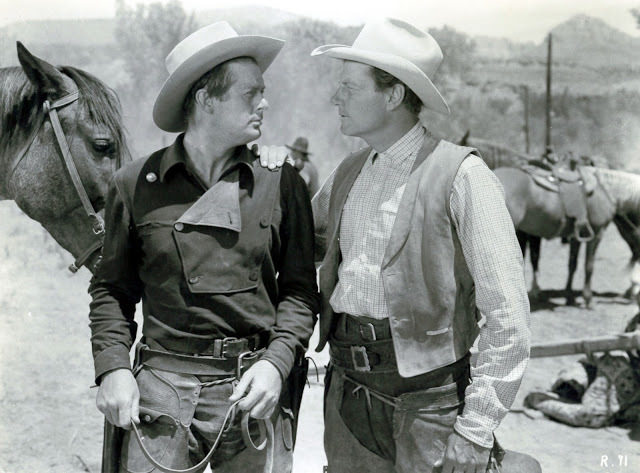 You'd have thought, as surely they did, that a western with Joel McCrea would be sure betting, but who reckoned with one so offbeat as Ramrod? Better labels might be complex or even cerebral, either which could sink Enterprise's enterprise. Folks liked cowpokes real easy to trail behind, and here came Ramrod that you near-had to see from a beginning or risk staying lost throughout. All that's refreshing to us now, but it could be 1947 genre-fans were getting a little fed up with oddballs like Ramrod and not dissimilar Pursued, also out that same year. 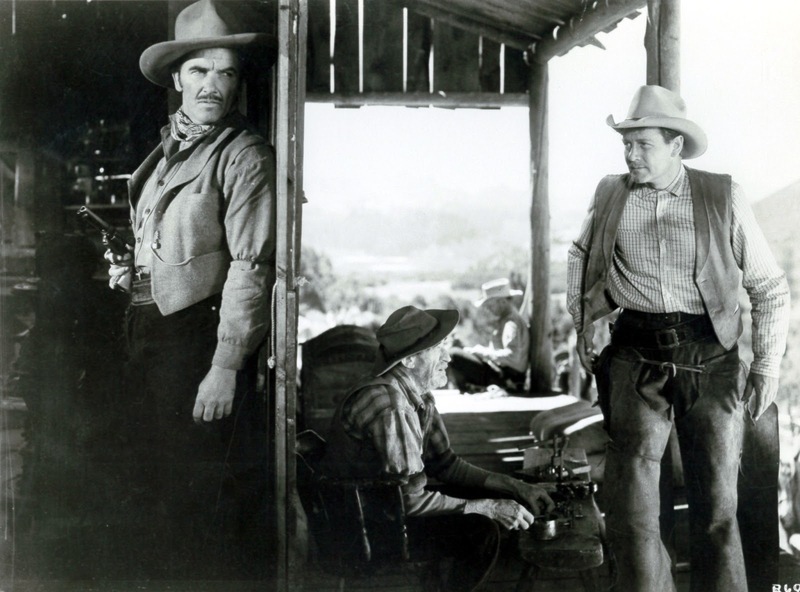 It wasn't easy singling out best westerns from a marketplace inundated with them. Much good work was in and out before critics or a public could notice or sing praise. Showmen figured patronage to be as satisfied with one s--t-kicker as another (Jack Warner's descriptive term), especially with a Joel McCrea, who, like Randolph Scott, made so many that individual titles (or merit) became meaningless, at least insofar far as ticket sales. The situation of Ramrod not getting critic props was much like later failure of the trade to recognize fineness of Budd Boetticher's series with Scott. These cowboys were in many ways like B series counterparts, especially now that both McCrea and Scott were playing them near-exclusive. Ramrod has since '47 eluded even fans, thanks to floating ownership and spotty runs. Encore Westerns used it occasionally, as would local stations in olden broadcast days. Quality was never so pristine as Olive's recent unearthing though, and on Blu-Ray yet, indication that in a category of once rare ones, we may now expect the unexpected.